"Not Cheap Stock Tan Material". 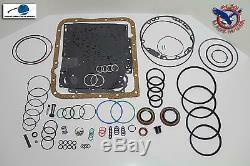 1 - Complete Alto Steel Module 1 - Complete Alto Gasket Set. 1 - Complete HEG Alto 3-4 Power Pack. 1 - Alto Red Eagle 2-4 Band 1 - Alto Felt Filter. 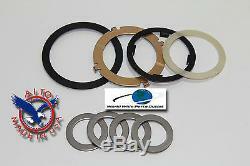 1 - Alto Bushing Kit 1 - Alto Washer Kit. See below to help you ID TH700R4 units with Auxiliary valve body and Non Auxiliary valve body and fully electronic vs non electronic. Late 1986 / Early 1987 were all. Valve body units 1986 / 1987 is the split year. Below is a picture of a 87-UP unit with the. Valve body the line in the casting that goes through the cooler lines is a easy giveaway that it does have a. Valve body units will NOT have this line in the casting of the case. Also 1993 is another split year for when the fully electronic unit "4L60E" came on the scene. Reference "B" shows the location of the main electrical connector on the 4L60E which would make the unit a fully electronic unit. Don't waste time ordering kits that are not complete. Or for your exact application. Order the right part the first time & at the. Alto Is Better Than The Rest. Paper Colors and Information: Tan, Light brown & Dark Brown Tan Paper Frictions ARE Stock Not High Performance Not Heavy Duty your Transmission from the factory was built with these "photo above Left". 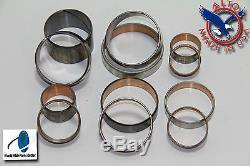 Light & Dark Brown papers are again stock materials on some but not all Transmissions from the factory. They are an improvement over the tan paper but they are NOT high performance and are NOT heavy duty "photo above Right". Green/Grey with Graphite Fleck & Black With Graphite Fleck Green/Grey with Graphite Fleck papers "HEG" are an improvement over stock and ARE considered Heavy Duty but NOT high performance. Green with Graphite Fleck "photo above Left" is High Energy Graphite material. Grey with Graphite Fleck is a just a Graphite infused Grey paper If it were NOT infused with the graphite is would carry the same grade as the Tan, Light & Dark Brown papers and would not be reliable for heavy duty use. But seeing it is infused with the graphite that would make it acceptable for Heavy Duty use. Black With Graphite Fleck "photo above Right" ARE considered Heavy Duty and High Performance in any application. It is a carbon infused paper with the addition of graphite VERY Strong. 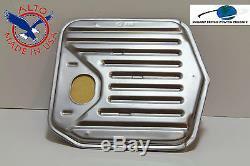 Blue plates are sufficient for Heavy Duty use and also high performance "photo above Left". For options and additional costs No exceptions. You can see how much it will cost additionally by. Selecting see details on each Item. Alto is the expert in the design and manufacture of bonded friction materials, stamped steel separator reaction discs, brake bands and gasket and seal kits. Our capabilities include bonding, stamping, laser cutting, CNC machining, broaching, engineering, in-house tooling and design services. Alto clutch plates have been installed in automotive, heavy duty, high-performance, marine and motorcycle applications over the past fifty years. Automatic Transmission Parts, Friction and Steel Plates, Hi-Performance Red Eagle Clutches, Banner, Master and Super Rebuilding Kits, Bands, Filters, Modulators, Gaskets and Seals. 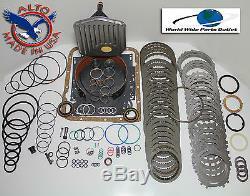 Gears and Hard Parts, Coolers, OEI. 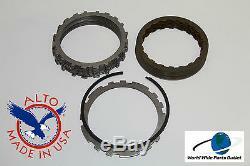 Standard Transmission Parts, Clutch Kits, Clutch Discs, Clutch Covers, Bearings. Clutch Hydraulics, Product Line Applications, Automotive and Light Duty, Light, Medium and Heavy Duty Truck, Heavy Duty Off Highway and Agricultural. The item "TH700R4 Rebuild Kit Heavy Duty HEG Master Kit Stage 4 with3-4 Power Pack 1987-1993" is in sale since Monday, February 17, 2014. This item is in the category "eBay Motors\Parts & Accessories\Car & Truck Parts\Transmission & Drivetrain\Automatic Transmission & Parts\Automatic Transmission Parts". The seller is "worldwidepartsoutlet" and is located in Atmore, Alabama.